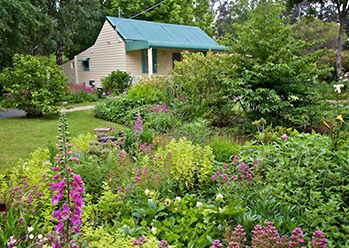 There are many beautiful Cottages, B&Bs and other holiday accommodation options in South Gippsland. Mirboo North Bed & Breakfast Accommodation. 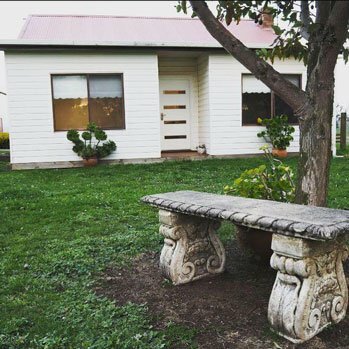 Lovingly restored for your comfort and relaxation, this charming cosy cottage is nestled in the magnificent rolling hills of the Strzelecki Ranges right in the heart of potato country. Offering lush farmlands, picturesque walks and beautiful sunsets. Come to where the air is fresh, the environment is still nature’s own, and where the number of ways to enjoy yourself is virtually unlimited. 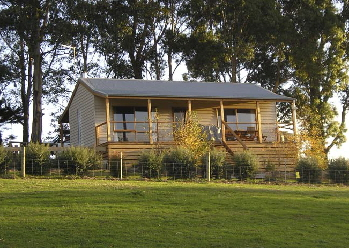 Birchwood Retreat Country Cottages, nestled within the magnificent Strzelecki Ranges … offering all the charm of the great outdoors together with luxuriously appointed fully self-contained, self-catering cabins. 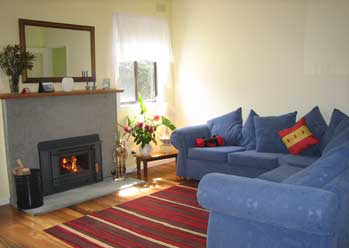 Relax, recharge and rest easy at Mirboo North Homestyle Self-Contained Accommodation. Perfectly located to enjoy South Gippsland’s walks, drives, bike trails and local delicacies. Whether you’re in Mirboo North seeking a romantic rendezvous or to enjoy time away with your friends or family, you’ll have a memorable stay at Mirboo North Homestyle Accommodation. Set in the beautiful rolling green hills of Thorpdale- recently renovated Nonna’s Cottage provides a beautiful vista over a picturesque working potato farm. With 4 bedrooms sleeping 8 people, fully renovated kitchen and bathroom, laundry facilities, as well as reverse cycle heating and air conditioning, Nonna’s Cottage is a perfect location for a relaxing getaway or as a base for visiting nearby attractions. Come and enjoy the warm hospitality of an Italian Family who have restored the cottage that was once their family home. Prom Country is located a leisurely two-hour drive from Melbourne. 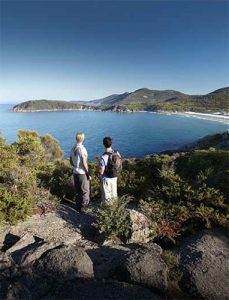 A key destination on the Sydney to Melbourne touring route, the region is renowned for spectacular scenery, unspoilt beaches, lush rainforests and farm-fresh produce. A chance to browse through a variety of stores, foraging for bargains, a special treat or the perfect gift? If the answer is yes, then the Prom Country region may provide you with the perfect alternative for your next shopping excursion. Instead of large, busy, and often sterile department stores, Prom Country offers a more ‘intimate’ shopping experience. Wander through small towns and villages and a surprisingly large range of boutique stores that comfortably blend city style with country hospitality.